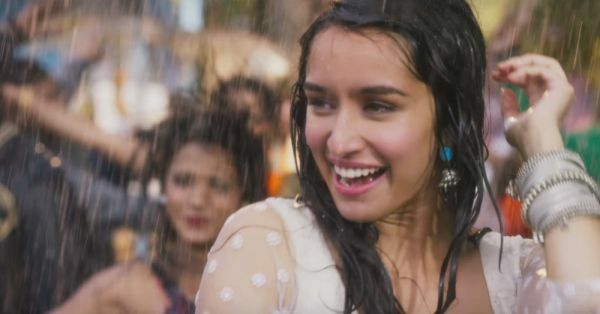 10 Skincare Tips To Handle The Monsoon Humidity! The rains are so lovely, yes, but the humidity can really mess up any sort of beauty routine you may have going on. Don’t be depressed about shiny skin and break-outs; try these simple monsoon skincare tricks to keep you looking fresh. Excess build up, oil and grime tend to settle on the skin and it’s best to wash it off before it clogs pores. 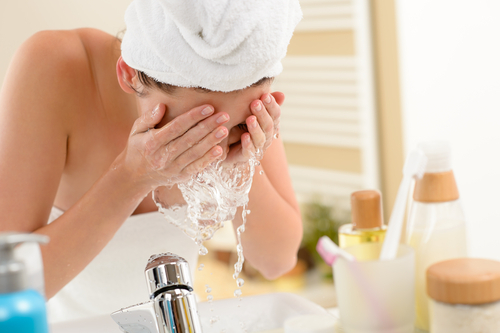 Opt for a mild face wash, that will leave your skin feeling clean and fresh. We suggest washing it three times a day to avoid any build-up. A toner is a must during the monsoon, as it refreshes skin and shrinks pores preventing any monsoon breakouts. Again opt for a toner that is natural and alcohol-free, these help maintain the pH balance of your skin and keep it looking fresh. 3. You still need to moisturize! You might think you don’t need any lotion, since it is humid and your skin has become super shiny (read: greasy). However, your skin is actually losing its natural oils. Stick to a water based moisturizer since it’s lighter than most while still repairing damaged skin. Many women want to rub off any and all grime from the skin, and tend to go overboard with the exfoliation, but shouldn’t! Use a gentle exfoliating face wash that will take away grime and dirt but still retain all the natural moisture your skin actually needs. 5. Drink water, of course! Just because it is raining and you feel hydrated, doesn’t mean your body is getting enough water. Drink at least 8 glasses of waters, as the old adage says so that all those built up toxins can be washed out. The better you feel from the inside, the better your skin will appear. 6. It's cloudy which means no sunscreen - FALSE! There hasn’t been a sunny day in ages, so let’s skip on the sunscreen - you know you’re guilty of this one. However UV rays still damage skin and it requires SPF year round. Find one that doesn’t wash off and is good quality. 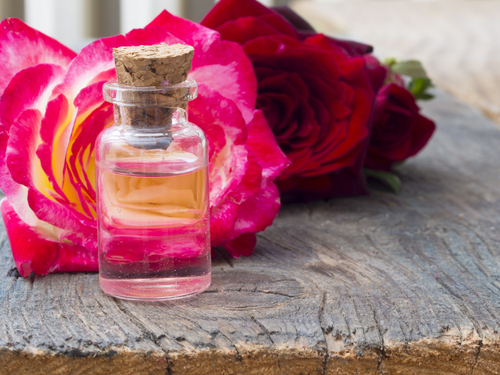 Rose water is a must have in your beauty bag during the monsoon. It has anti-inflammatory and antioxidant properties, keeping skin firm and healthy. It is also a great cleanser, balances skin’s pH levels and due to its antibacterial properties, rose water aids in healing scars, cuts and wounds. Find one that is 100% natural with no chemicals for best effects. Try to avoid heavy foundations and concealers, not only do they look cakey but they can also block pores. A little waterproof mascara and gel eyeliner with some lipstick is the most we’d suggest for daily wear. Many times the beauty products you get off the counter can cause build up on your skin due to all the chemicals and ingredients in them. 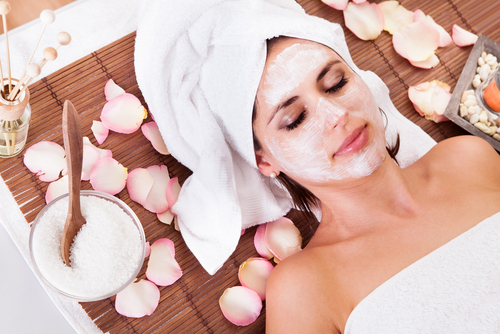 We suggest pampering yourself with a home spa using natural ingredients like raw coconut oil, honey, yogurt, gram flour, rose water etc. These natural ingredients will keep your skin looking naturally fresh, supple and healthy. Due to all the moisture in the air, fungus and bacteria spread easily. Using anti-fungal talc powder can reduce the risk of infections and can also absorb unwanted moisture. Helpful tip: mix a little of the anti-fungal talc in your face powder to keep those harmful bacteria at bay.